In space, no one can hear you scream for more iPod color options. But at least you can look fashionable with a swanky new Space Gray Apple device. 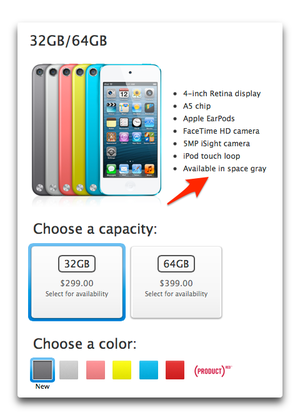 And you don’t even need a new iPhone 5s to enjoy Apple’s cool color option. 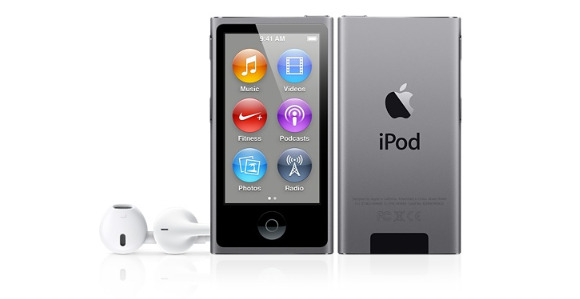 If changes to AppleCare and the death of Cards weren’t enough, Apple also silently updated its color iPods—specifically the 32GB and 64GB iPod touch, iPod shuffle, and iPod nano—with a new Space Gray option. The Space Gray iPod shuffle and nano will be available starting on Thursday, September 12, while the iPod touch will hit shelves on September 20.